The New York Public Library (NYPL) is in the middle of drastically reducing the space in Manhattan’s most important central, destination libraries. When do you suppose the NYPL was last expanding the space it is now reducing, asserting at the time that the space they then had was insufficient? . .
. . A not so unimportant, `by the way’ on this (before we revel the answer) is that the huge upcoming reduction of space the NYPL’s proposes in its Central Library Plan (aka “42nd Street Library Renovation), the elimination of 300,000 square feet of space will come at significant New York City taxpayer expense, at least $150 million dollars. 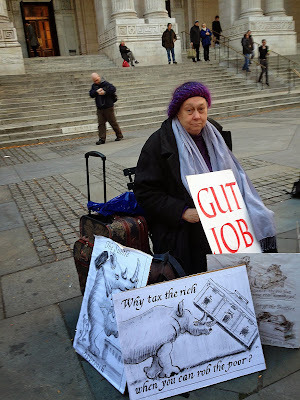 . . Just as the not so long ago expansion of space came at New York City taxpayer expense. 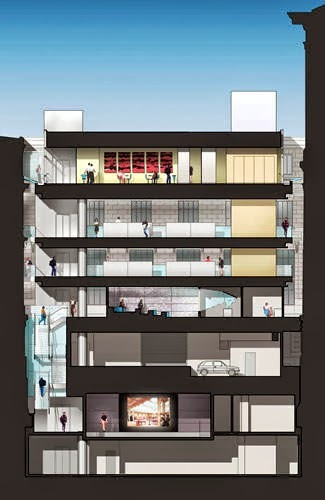 The NYPL’s significant reduction of important midtown Manhattan library space began in 2007 with the sell-off of the Donnell Library on 53rd Street across from MoMA between 5th and 6th Avenues. The 97,000 square foot, five-story library was sold off at far less than its value to the public. When then do you think the last expansion of library space before that was? Was it in 1992 when the city-paid-for Bryant Park expansion was completed? This expansion, begun in 1987, involved closing Bryant Park for more than four years in order to put 84 miles of bookshelves underneath it and was designed to take the 42nd Street Reference Library’s immediately accessible book collection up to a capacity of 6.2 million books, may be as many as 6.7 million books in a pinch.- No, the last expansion wasn’t in 1992. 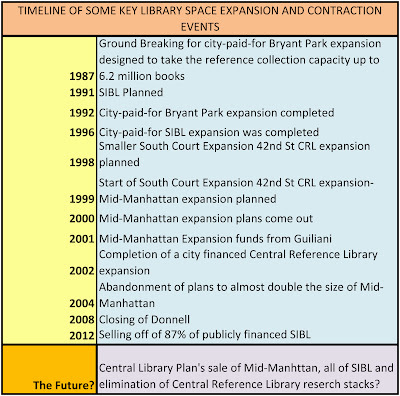 Was it in 1996 when the expansion effected by the city-paid-for Science, Industry and Business Library expansion was completed with the opening of that library?- No, the last expansion wasn’t in 1996. What about 2000 when the NYPL put out its plans to expand (nearly double the size of) the Mid-Manhattan Library by 117,000 square feet? Or 2001, the year that the Giuliani administration awarded the city funds to effect that expansion? 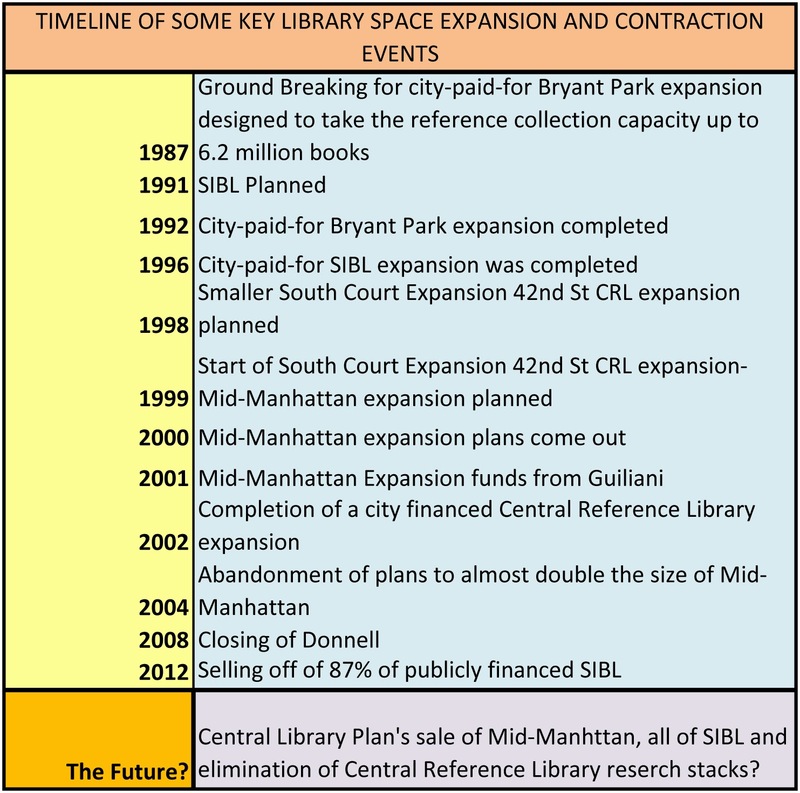 2003, when those Mid-Manhattan expansion plans were still in effect, the NYPL still intending to go forward with them? (The Mid-Manhattan expansion plans were set aside later after Chief Operating Officer David Offensend joined the NYPL in 2004.) No, it was not 2000, 2001 or 2003. 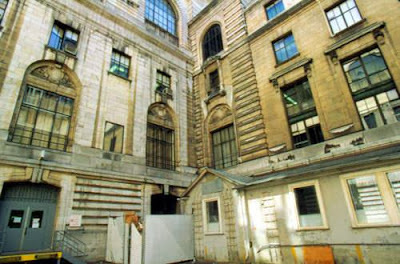 The last expansion of the NYPL’s Manhattan space was in 2002 with the completion of a city-paid-for expansion of the Central Reference Library that boosted the size of the Main Building by about 8%, 42,222 square feet, because, as the then President of the NYPL said, additional space was needed. The expansion was the addition of the Central Reference Library’s new South Court. Building up library space at taxpayer expense until 2002 and then selling it starting with Donnell in 2007? : There's a startling lesson in how fast ambitions can pivot. The South Court expansion is an addition to the library that is likely off most people’s radar even though it was quietly spectacular about the way it squeezed in extra hidden space. That’s because it involved filling in what had been a central courtyard within the building and much of it was built underground. 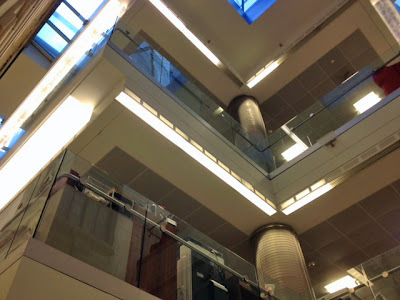 See: Inside Stories / Six new floors rise within the main branch, Lifestyle Newsday, May 21, 2002, by Mary Voboril. The South Court expansion was built when Dr. Paul LeClerc was president of the NYPL. The project took two and half years starting in 1999 and finished in 2002 at a total cost of $29 million. Most of that cost, $17.5 million, was paid for by the city. The six-floor project with 40 feet below street level, going below the original foundations, added 42,222 square feet to the main building's 527,000 square feet. 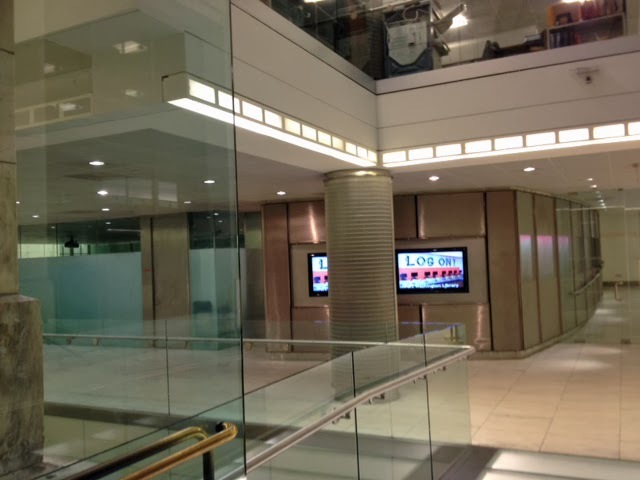 (Others supply what may be rounded off figures of 40,000 square feet added to 500,000 square feet.) The above-ground portion of the expansion brings it to about the same height as the rest of the building. 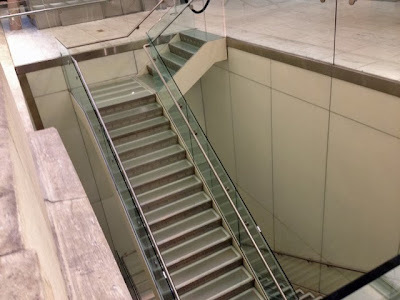 Originally, when approvals were being sought for a smaller version, the public was inaccurately told that building deeper underground was not possible. Contemplation of such a project went back to the 1980s before the SIBL expansion and was undertaken shortly after completion of the SIBL expansion and the renovation of the Rose Reading Room. In 1998 it was originally envisioned as a smaller expansion of 28,400 square feet of space that would have cost considerably less, only $10 million, to build and another $5 million to equip. 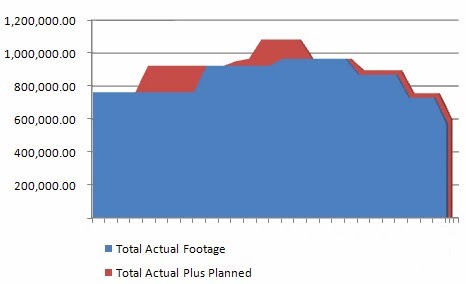 In September of 2000 when construction was underway it was estimated that the cost of the project would be significantly less than it turned out to be: $22.5 million vs. the final $29 million. In 1998 the Slavic and Baltic Division overlooked the 80 x 80 foot court yard where the 73 by 73 foot expansion was built, leaving 3 1/2 foot clearance all around. The Slavic and Baltic Division? Now closed! As we renovated public spaces in the building, including moving the copying center from the main reading room, we knew we needed some place for people we were displacing. South Court even gives patrons a glimpse of the books themselves—through narrow windows that look in on the sacrosanct stacks. As part of the Central Library Plan the current library administration has envisioned demolishing the "sacrosanct" stacks and decommissioning them from their intended use around which the entire 42nd Street Central Reference Library was designed. Needed more space in 2002? 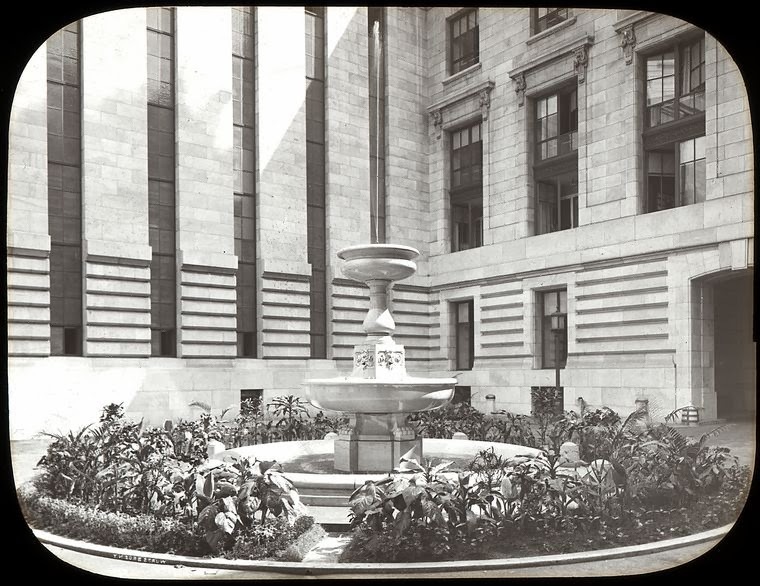 From 1987 to 1992, the years during which the Bryant Park expansion of the stacks and books was being constructed, the total NYPL central destination Manhattan library space was 763,000 square feet. That figure includes the main buildings, not the book storage space in the 42nd Street Annex building the NYPL also owned and now no longer owns, additional real estate it has divested itself of. 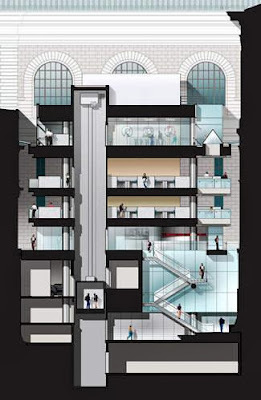 In 2002 when South Court was completed, the square footage of such NYPL space (again, not counting the purely book storage space like the additional stacks under Bryant Park) was 965,222 square feet with the NYPL planning to go up to 1,082,222 square feet with the planned Mid-Manhattan expansion. But now Donnell is gone, the $100 million SIBL which increased space substantially, is being sold off. The consolidating shrinkage of the Central Library Plan would shrink current space down to just 569,222 square feet, significantly less than the 763,000 figure for the late 80s and early 90s and certainly less than the recently envisioned 1,082,222 square feet. If the largely underground and bookless replacement for Donnell is completed by 2015 as the NYPL says it currently hopes, that figure would be just a bit larger, 597,222, still below the figures for the space the library had in the 1980 when the city had a population about a million fewer than the slightly over 8 million population in New York City now. Does any of this make sense except in terms of handing off real library real estate to developers in deals that benefit them, but not the public? Including what was spent to put stacks under Bryant Park, over $150 million was spent since the end of the 1980s to expand library space. Yesterday, at the NYPL’s trustees meeting, the trustees were told that the NYPL still envisions going forward with the Central Library Plan, that it is "moving along." In that regard it was reported to the trustees that the NYPL was having 'conversations’ and "working with" with Mayor-elect Bill de Blasio and, in addition, the members of the City Council and the members of the entire new, incoming administration. . . "to make sure we are all, as it were, headed in the same direction." “Working on” these people might have been a better phrase. It was in the news that Mayor-elect de Blasio was visiting the “talking transition tent” yesterday (the transition tent was set up independent of de Blasio.) Though it was not reported elsewhere in the news, NYPL president Tony Marx told the trustees that he had been at the talking transition tent when de Blasio was there. (It was reported that the NYPL was doing what it could to influence public feedback input to the transition tent operation, including linking to the online transition tent survey with its questions about libraries.- Or ideas can be submitted too.) At about the same time Mayor-elect de Blasio was at the talking transition tent troops from Citizens Defending Libraries (I'm a cofounder of CDL) were also there handing out flyers urging that city libraries not be sold, shrunk and underfunded as under the Bloomberg administration. 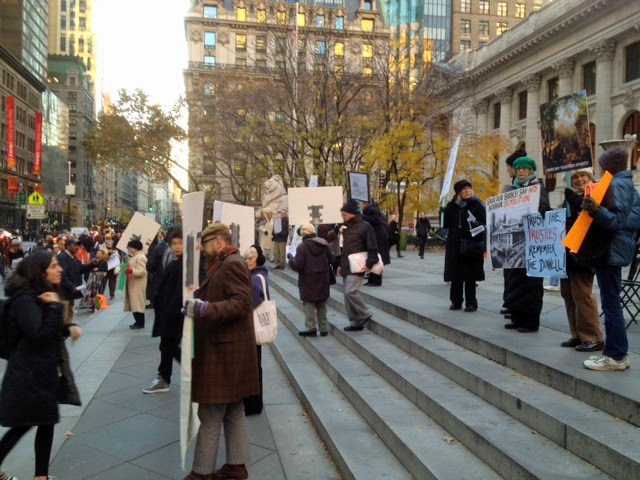 More Citizens Defending Libraries and Committee to Save the New York Public Library troops were outside (and at) the trustees meeting delivering the same message. Mr. Marx and the rest of those running the NYPL are aware that unless the NYPL can convince Mayor de Blasio and new administration cohorts to spend $150 million taxpayer dollars and allow what might be close to a half billion in public funds in total to be spent on selling and shrinking libraries, the Central Library Plan won’t proceed as planned. Spend all that public money on shrinking and selling libraries? 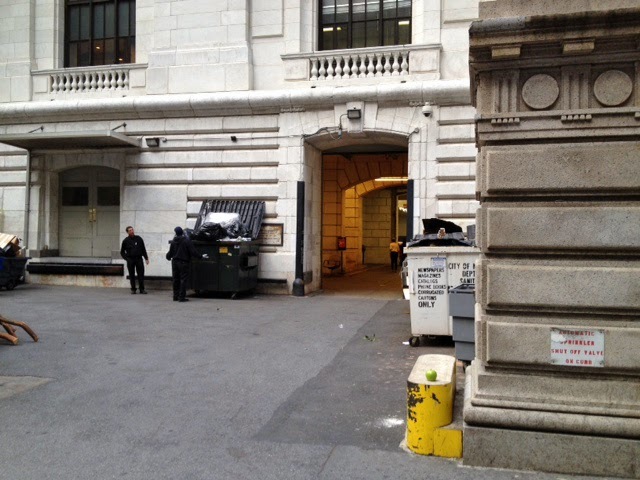 Does the NYPL have any reason to be optimistic that they can swing de Blasio on this? The trustees were told that so far the "conversations" were going "very well" and in the perverse view of the NYPL, "going in a positive direction." - The direction of shrinking way down the recently increased space?